Although US federal law requires all American states to permit abortion within their borders, states retain authority to impose restrictions. We used hospital discharge data to study the rates of major abortion complications in 23 states from 2001 to 2008 and their relationship to two laws: (i) restrictions on Medicaid – the state insurance programs for the poor – funding, and (ii) mandatory delays before abortion. Of 131 000 000 discharges in the data set, 10 980 involved an abortion complication. The national rate for complications was 1.90 per 1000 abortions (95 per cent CI: 1.57–2.23). Eleven states required mandatory delays and 12 restricted funding for Medicaid participants. After controlling for socio-economic characteristics and the pregnancy complication rate, legal restrictions were associated with lower complication rates: mandatory delays (OR 0.79 (0.65–0.95)) and restricted Medicaid funding (OR 0.74 (0.61–0.90)). This result may reflect the fact that states without restrictions perform a higher percentage of second-trimester abortions. 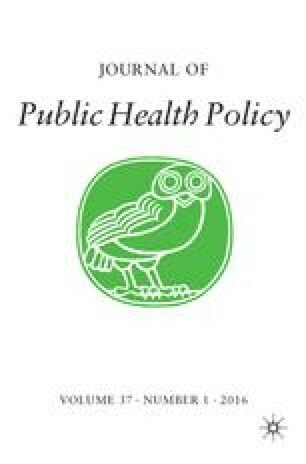 This study is the first to assess the association between legal restrictions on abortion and complication rates.Commentary JPHP.2012.15, available at www.palgrave-journals.com/jphp/, relates to this article. The authors examine whether restrictions on legal abortion that have been enacted by states since the Supreme Court found abortion legal in 1973, principally limits on government payment and waiting periods, affect rates of hospitalization for complications of abortion. The online version of this article (doi: 10.1057/jphp.2012.12) contains supplementary material, which is available to authorized users. We thank Joey Richards for his input on data analysis; Derek Schachter for his research assistance in collection and management of data; and Jay Bhattacharya and Corinna Haberland for helpful discussions and thoughtful comments on drafts.